Let's coneeeeeeeect you to the Lightning Network on Mainnet and stake some real money in a risky network of scripted channels where things can go wrong and make you lose all your money 😱... really don't put more in than you are willing to lose or spend on emoji's, articles and cookies? 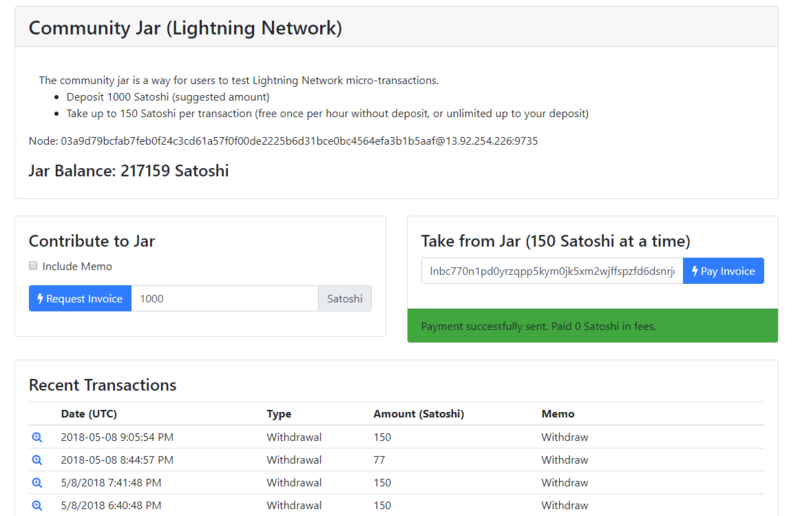 This week I've gained enough confidence in the current state of the Béta Lightning Network wallet to put in some sweat, tears and satoshi's. If you already have a fully synced bitcoin node, what takes the longest is the txindex=1 setting, as it will rebuild the entire blockchain including all transaction ID's. I've given my node a noticable and idealistic name, in the hope that people will start opening channels to my node on their own. So be creative! If you have been running a Bitcoin Qt/Core node (update to v0.16!) for a while, you'll have to make a transaction to yourself to move the funds from Pay-to-Public-Key-Hash (starts with 1) to the so called Pay-to-Script-Hash on a Segwit address (starts with 3) before you can open a channel with those funds. Actually Eclair did not start until there was UTXO/spendable bitcoin in a segwit address on my node. You should have encrypted your Bitcoin wallet, so in order to spend funds with Eclair you can use the console in Bitcoin Qt/Core to unlock the funds and set a certain time window where the app can open a new channel. Be patient when opening a new channel, as the network suggests 6 confirmations (~1 hour) before accepting payments over a lightning channel. Click Channel - Receive Payment to generate the request. Hope this helps you all to smoothly get unto the second layer magic called ⚡Lightning Network⚡. I have not had any problems, except for the logfile growing several GB big. You can leave the IP-field blank if you don't want to broadcast that info.